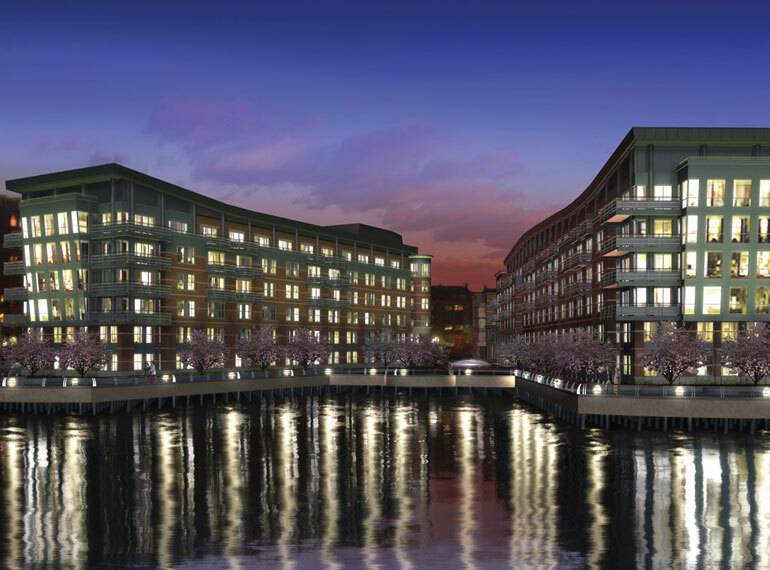 Battery Wharf is a mixed-use property on Boston’s waterfront in the North End. 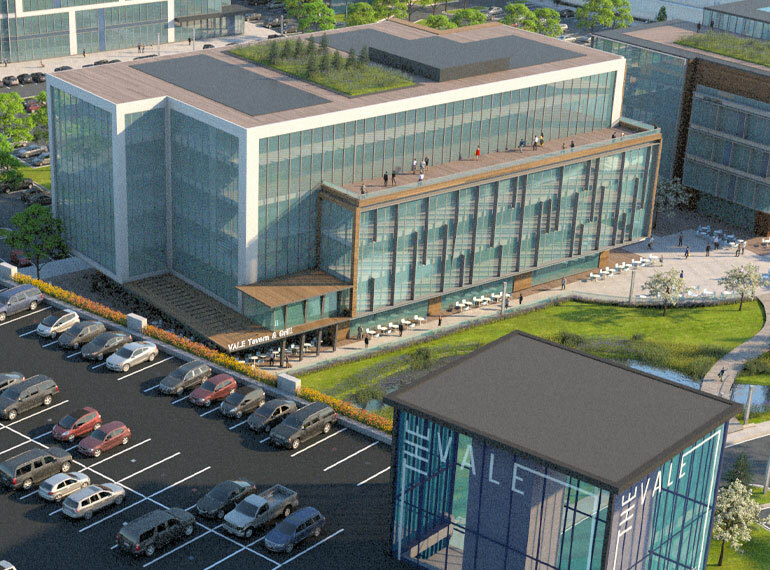 The four-building project includes 104 high-end residential condominium units, a 150-room, four-star hotel with restaurant and spa, 35,000 SF of retail, a maritime museum, marina, and 376 spaces of below-grade parking. 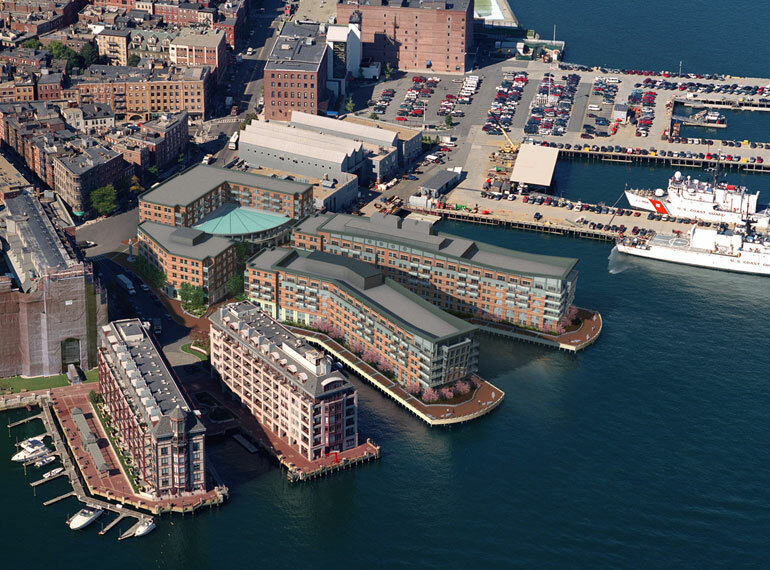 Battery Wharf engaged Leggat McCall Properties to provide development management and OPM services for the project. In this role, LMP led the permitting, design and construction of the development. LMP coordinated with the residential marketing team and the Hotel operator through project completion and opening. We successfully engaged the neighborhood and neighborhood associations, implemented workforce diversity and workforce residency requirements, managed the project insurance OCIP, and also performed the project accounting. The project involved several challenges that the LMP team successfully navigated. 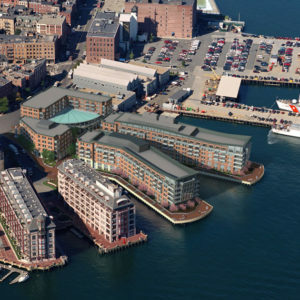 Located in an extremely dense urban setting on Boston Harbor, the project faced complex site logistics, including: a) driving sheet piles adjacent to occupied structures; b) environmental mitigation of contaminated soils; c) construction of two levels of underground waterfront parking 30 feet below sea level, directly behind a historic seawall; d) driving end-bearing piles and erecting a precast concrete wharf foundation from barges in Boston Harbor; and e) building construction over water with limited land and staging area. 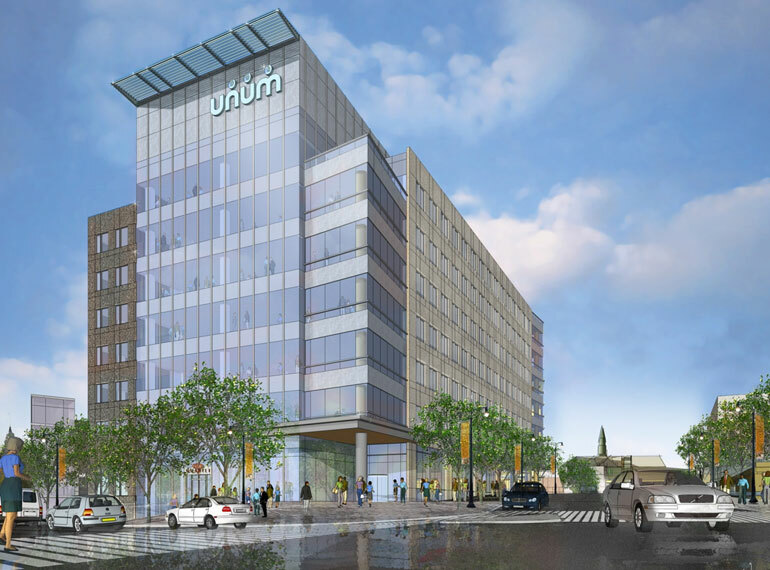 The programming of the project was significantly complicated by permit-required, ground floor public accommodation requirements that forced the distribution of the hotel elements over the four buildings. To tie the hotel program (and the buildings) together, the ballroom, meeting spaces and other high-end public spaces were developed below-grade. 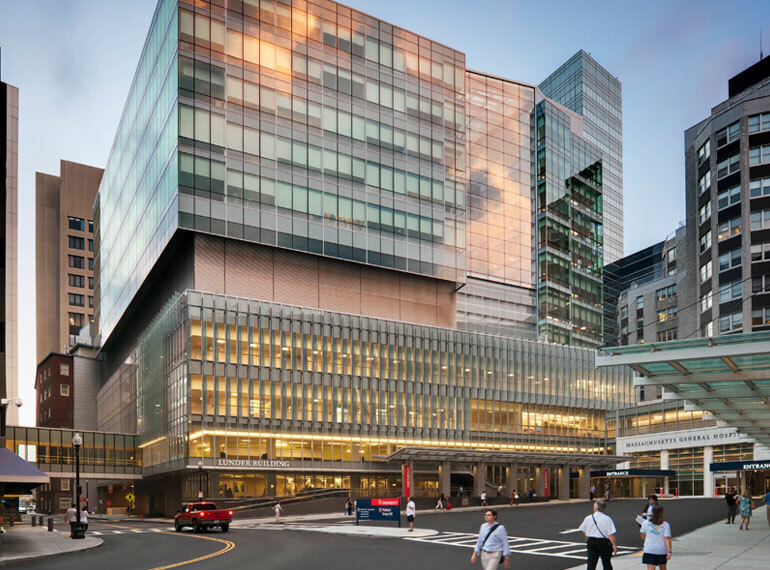 Project economics required that the project accommodate six floors of hotel and residential programming in a building envelope with a 55-foot height restriction, resulting in very tight floor-to-floor dimensions. The resulting stacking of hotel and condo units made MEP systems distribution difficult (exacerbated by the tight floor to floor conditions), and complicated building access and elevator security. 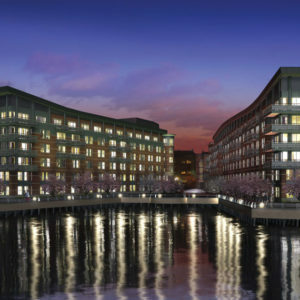 Battery Wharf employs very sophisticated controls, metering, security, IT infrastructure and AV technologies. In fact, the project has won technology awards for its building connectivity, its systems integration, and its comprehensive and unprecedented approach to energy and utility metering. LMP was integral to this effort by identifying the needs, engaging the appropriate technology consultants, and bringing the various systems providers together to develop solutions.